What's New: Burberry, Tom Ford and Urban Decay | Top Beauty Blog in the Philippines covering Makeup Reviews, Swatches, Skincare and More! Three new great and exciting products from Burberry, Tom Ford and Urban Decay worth giving a try . . .
Urban Decay Beached Bronzer $28.00 - Nail the golden goddess look every time with Beached Bronzer from Urban Decay. Dust this silky powder onto your face or all over your body for a beachy, sunkissed look. Urban Decay’s finely milled, super-soft formula applies smoothly, doesn’t streak, and creates a radiant glow that locks into place. These universally flattering matte shades provide sheer, natural-looking coverage every time. Its HPP (Highlighter Performing Pigments) Technology is long-lasting and provides rich color with the perfect level of coverage. Tom Ford Sheer Cheek Duo $78.00 - Give bronzed skin ultimate radiance with Sheer Cheek Duo. Embossed with the Tom Ford logo, it features two pink hues that bring a shimmery glow to bronzed summer skin. The oil-free, soft pink highlighter and bold rose blush can be applied wet for a soft veil of color or dry for a sweeping pop of vibrancy. Use these shades alone or layer them together for long-lasting color that blends easily. 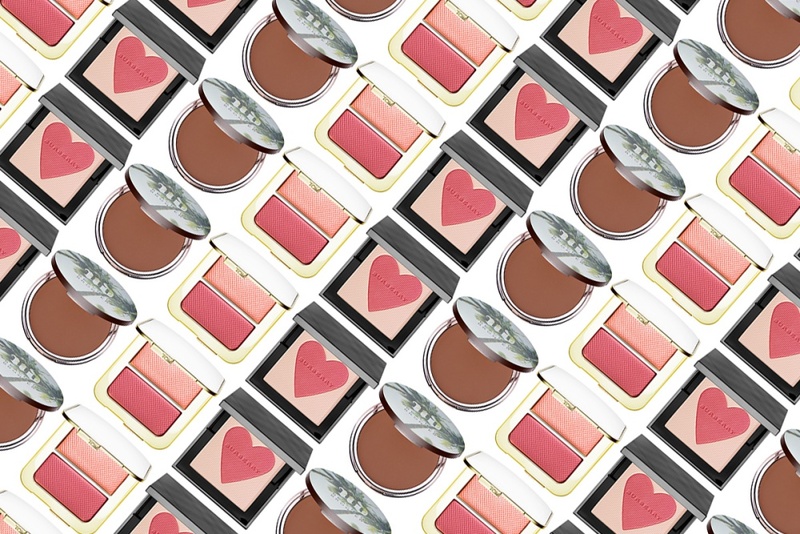 Burberry Summer 2016 London With Live Blush Highlighter $68.00 - Introducing the Summer 2016 London With Live Blush Highlighter, a limited-edition blush powder duo to sweep on a natural-looking flush of radiance with the heart-shaped blush. Then subtly illuminate the face with the highlighter. Celebrating the playful prints from the Burberry Scarf Bar, the blush and highlighter powder is set in an embossed heart pattern. Perfect for all skintones, the two shades can be applied separately or blended together for a customized finish. Use this blushing powder duo to sweep the lightweight powder across the temples to create definition and over cheeks for a lasting, luminous glow. Too pretty! Love the blush highlighter shades! Your posts always make me want to shop make-up all day, everyday! Love the look of these especially the Burberry Summer 2016 London With Live Blush Highlighter! that urban decay bronzer seems pefect!